It’s Halloween. Time to start thinking about Christmas decorations! We crafters are always a few months ahead of the curve, holiday-wise, so I have already started buying the supplies I need to make my Christmas decorations this year. 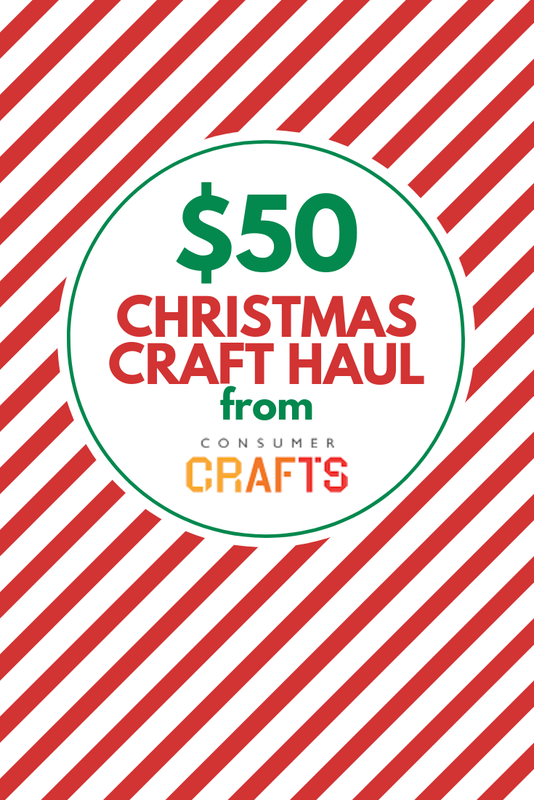 Consumer Crafts graciously offered me $50 of store credit to buy whatever I needed for my holiday crafting. 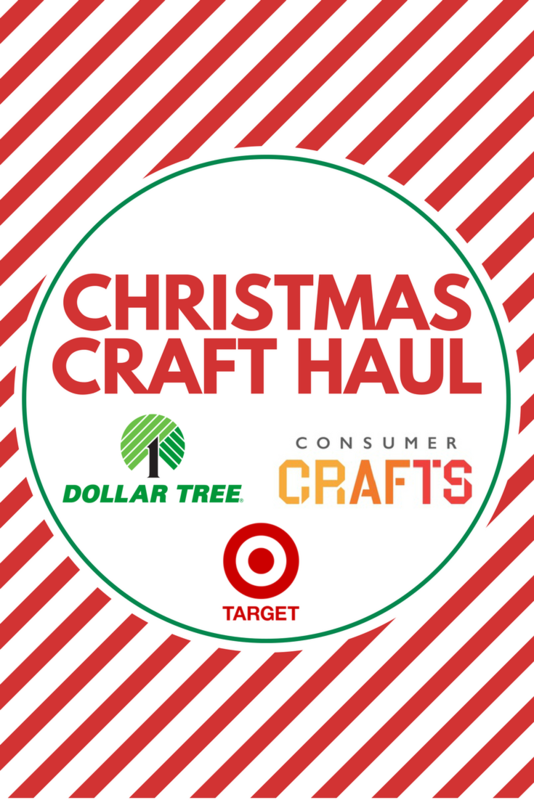 I made a Christmas craft haul video to show just how much great craft supplies you can get with just $50! If you haven’t already done so, subscribe to my YouTube channel. I will be publishing tons of holiday content over the next few months that you won’t want to miss! These are the links to all the products mentioned in the video. These are all affiliate links, if you make a purchase (of anything from these retailers, not just these items) after clicking through, I will earn a small commission. Ads and affiliate links are the way I am able to keep this website running and to offer you free tutorials all year long. Thank you so much for supporting me and Mad in Crafts!